The thyroid gland is a large, butterfly-shaped gland in your neck that releases hormones responsible for metabolism. This important gland is located in front of your throat below the “Adam’s apple” or larynx. Using your blood stream, T3 & T4 travel to your cells to help regulate the speed that your metabolism works. (Metabolism is simply the way your body uses energy.) These hormones help to regulate functions such as breathing, heart rate, body temperature, body weight and more. 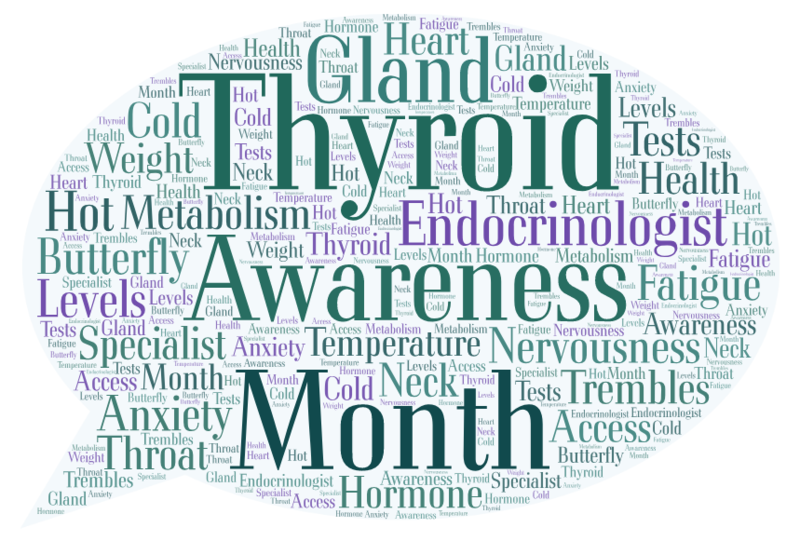 There are several types of tests your doctor can order if they are concerned about your thyroid hormone levels or any symptoms you may be experiencing. They may also refer you to an endocrinologist – a specialist in glands and the hormones they produce. Looking for a highly trained endocrinologist? Dr. Sumbul Ali, MD is a member of the American Association of Clinical Endocrinologists, the Endocrine Society and the American Medical Association. To read more or schedule an appointment, click here. Don’t forget to follow us on Facebook, Instagram, Twitter and LinkedIn for more great content!